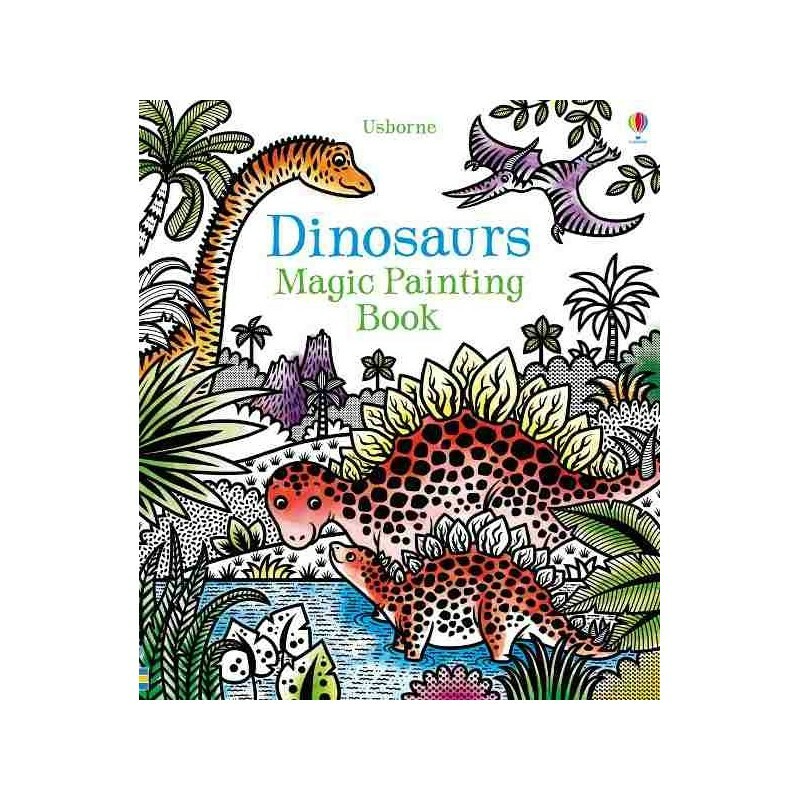 Brush water over the black and white illustrations and watch the prehistoric scenes burst into colour! Written by Lucy Bowman. 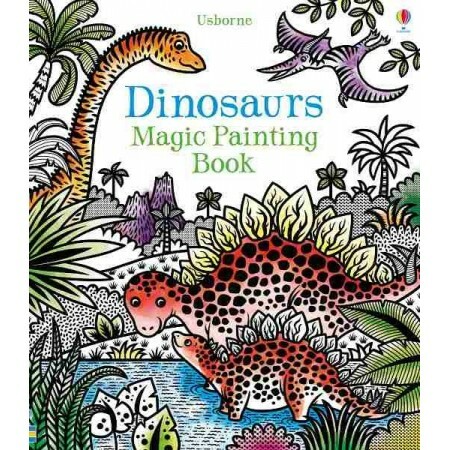 There are velociraptors hunting for food, pterodactyls flying high in the sky, baby dinosaurs being born and much more. The back cover folds out so you can place it between the pages and prevent colours running onto the page beneath. Written by Lucy Bowman. Illustrated by Federica Iossa. Paperback. Greyscale illustrations. 32 pages. 25cm x 21.5cm. Brush included.